A senior Iranian lawmaker says Kuwait is not keen to continue following up Saudi Arabia’s hostile policies towards Iran. In a Farsi interview with ICANA, Mohammad Javad Jamali Nobandegani weighed in on a message to Tehran by six members of the [Persian] Gulf Cooperation Council concerning holding talks with Iran. “Considering the current situation in the region and the issues Saudi Arabia has dragged everyone into, the [P]GCC member states are showing an interest in holding negotiations with Iran,” said Jamali Nobandegani, who sits on the Presiding Board of the Parliament’s National Security and Foreign Policy Commission. He noted the gains achieved by popular and resistance forces have worried opponents. 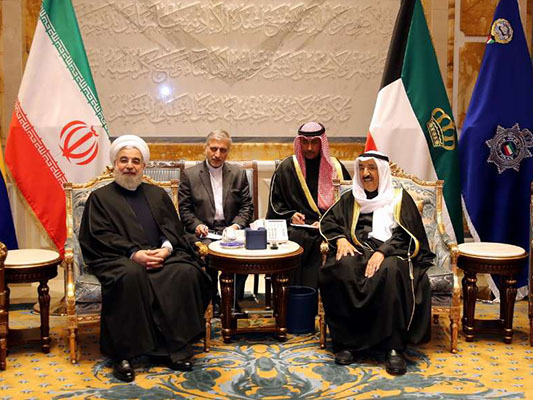 “Oman and Kuwait have good relations with Iran. In certain cases, Kuwait has wanted to maintain its independence against Saudi Arabia and does not seem to be able to remain defiant alongside Saudi Arabia in the long run,” the legislator underlined. “Iran as an influential country with numerous elements of power and [the ability to make] cultural and religious contributions stands ready to open up a new chapter in relations with these countries,” said the lawmaker. The legislator underscored that Riyadh continues to level accusations against Tehran despite sending a message to Iran for holding talks. He said Saudi Arabia has not forsworn its enmity toward Iran. “Saudi Arabia’s status has been weakened vis-à-vis Iran, and its hostile moves have been a nonstarter,” said the parliamentarian. Elsewhere in his remarks, he also said it has been several months that Iran has no ambassadors to Syria and Oman, and asked the government to name an ambassador to Oman. “Of course, the [Iranian] Foreign Ministry believes a long mechanism is required to pick that person,” he said.